Whether you're a novice or have been writing poetry most of your life,(or even just creative writing) one way or another this page has all kinds of ways to help you out. I wrote it in the hopes to make a COMPLETE study & writing guide. 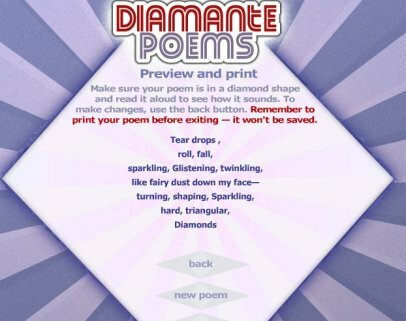 In this Lens you will Find out Poetic writing terms, Forms, Devices, everything from Vocabulary to Types of poem styles & parts, as well as what rules if any apply to them (like for a Diamante has to be in shape of a diamond, Sonnets, & Haikus). I also have information for entering Contests & information on judging (at least for one), self publishing & how to publish your own E-book as well as links to helpful pages from a writing blog. I've included videos that seemed interesting if you will be interested to learn how to write poetry, even an award winning one in 5 minutes! Get over writer's Block, various links for additional information, as well as books on famous poets, links to help you learn as well and a couple sections throughout for 'supplies' like if you are just starting or just need a new journal, writing instruments and so on. There is a link to the 'Creative writing' page that used to be a part of this page. Want to know when I add something? The Epic Ballad of Poetry by Kim Marie Ostrowski is licensed under a Creative Commons Attribution-NonCommercial-NoDerivs 3.0 Unported License. 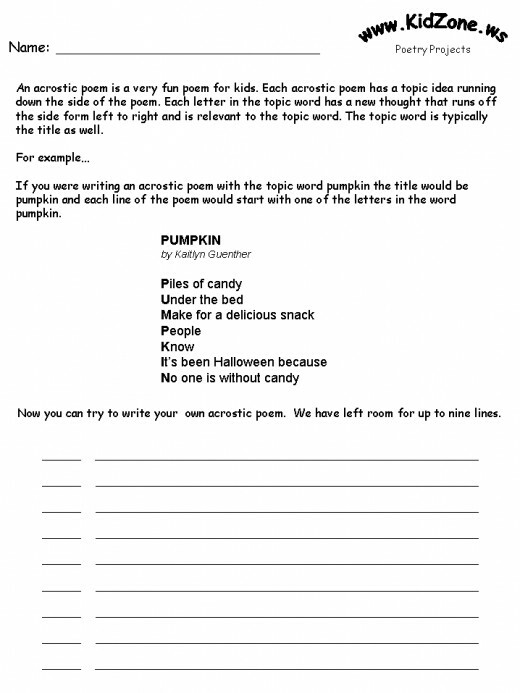 a SONNET is a type of poem with certain amount of lines etc. RHYME is also listed but It's more than a rhyme. A 'rhyme' is a single sentence or 2 words that do. When one speaks of 'Poetic License' they talk of the artist's (here being the writer or poet) disregard for conventional rules for effect. It isn't always about words that Rhyme together, it is the use of words in a remarkable way; that does not adhere to the usual confined rules of writing. You don't have to use punctuation, (though it helps if you want the reader to read it in the correctly in the right rhythm). You can make up your own words, or use a word in a totally different way that one would. 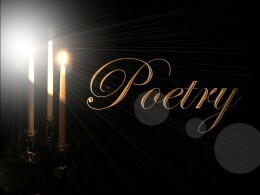 Poetry is self expression, a form of art. Some of us may not have the talent to draw, however when we weave our words we can paint that picture for the reader to see in their heads & feel our emotion. Ancient People believed that because Poets otherwise known as 'Bards' or 'balladeers' could build a thought or story in an interesting way, and they had more power than ordinary people. Some religious texts might be written in Rhythmic (Rith-mick) verse. These words seemed inspired by higher powers. "Poetry (from the Greek 'poiesis') a making: a forming, creating, or the art of poetry, or a poem) is a form of literary art in which language is used for it's aesthetic and evocative qualities in addition to, or in lieu of, its apparent meaning. 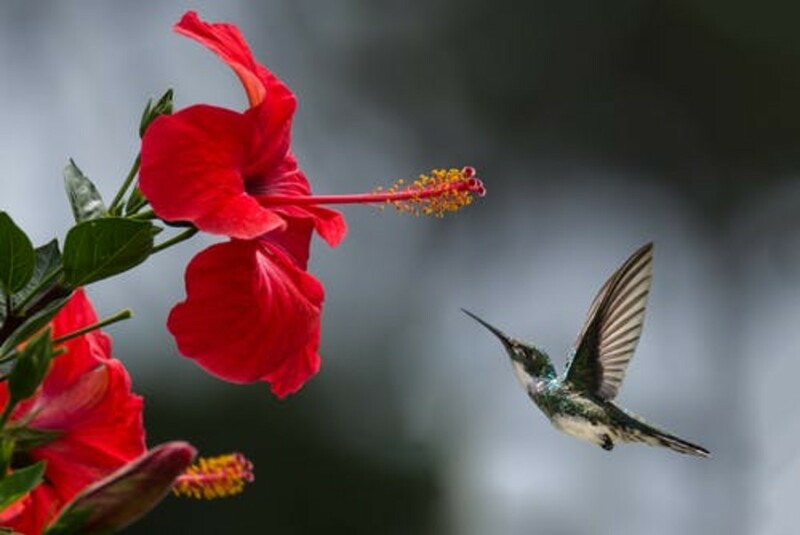 Poetry may be written independently as discrete poems, or may occur in conjunction with other arts, as in poetic drama, hymns, lyrics, or prose poetry. It is published in dedicated magazines (the longest established being Poetry and Oxford Poetry), individual collections and wider anthologies." Below you will find Vocabulary, "Terms & Types" of Poetry, how to write it, self Publishing, when you are done, and many other manner of subject in the artistic writing prose and Rhyme. Accent- The prominence or emphasis given to a syllable or word; In the word poetry, the accent (or stress) falls on the first syllable. Alexandrine - A line of poetry that has 12 syllables. The name probably comes from a medieval romance about Alexander the Great that was written in 12-syllable lines. ALLEGORY - Allegory is a form of extended metaphor. An allegory is a story with two meanings, a literal meaning and a symbolic meaning. anapest -A metrical foot of three syllables, two short (or unstressed) followed by one long (or stressed), as in seventeen and to the moon. The anapest is the reverse of the dactyl. apostrophe - Words that are spoken to a person who is absent or imaginary, or to an object or abstract idea. The poem God's World by Edna St. Vincent Millay begins with an apostrophe: "O World, I cannot hold thee close enough! Thy winds, thy wide grey skies!/Thy mists that roll and rise!" Assonance - is a vowel sound repeated within a line, for instance...How now brown Cow. BALLAD- A ballad is a poem usually set to music; thus, it often is a story told in a song. Any myth form may be told as a ballad, such as historical accounts or fairy tales in verse form. It usually has foreshortened, alternating four-stress lines ("ballad meter") and simple repeating rhymes, often with a refrain. If it is based on a political or religious theme, a ballad may be a HYMN. It should not be confused with the ballade, a 14th and 15th century French verse form. Also in Music form, In the 20th Century, "ballad" took on the meaning of a popular song "especially of a romantic or sentimental nature" (American Heritage Dictionary). Casting directors often divide songs into two categories: "ballads" (slower or sentimental songs) and "up" tunes (faster or happier songs). A power ballad is a love song delivered with power often using rock instruments. The 80s & 90s 'Hair' bands were popular for this. Blank Verse -. Poetry that is written in unrhymed iambic pentameter, Shakespeare wrote most of his plays in blank verse. caesura - A natural pause or break in a line of poetry, usually near the middle of the line. There is a caesura right after the question mark in the first line of this sonnet by Elizabeth Barrett Browning: "How do I love thee? Let me count the ways." Calligram - See Epic & Dramatic Form "Visual Poetry"
Canzone- Medieval Italian form with strong similarities to the sestina. 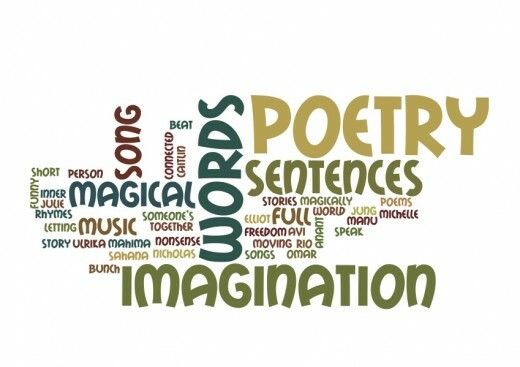 There are no rhymes; instead there are five keywords that determine the structure of the poem. Every line of the poem - and there are 65 lines altogether - ends with one of the keywords, which must appear in a prescribed order. with five or six stanzas and a shorter concluding stanza (or envoy). The poets Petrarch and Dante Alighieri were masters of the canzone. chanson de geste- An epic poem of the 11th to the 14th century, written in Old French, which details the exploits of a historical or legendary figure, especially Charlemagne. conceit- A fanciful poetic image or metaphor that likens one thing to something else that is seemingly very different. An example of a conceit can be found in Shakespeare's sonnet "Shall I compare thee to a summer's day?" and in Emily Dickinson's poem "There is no frigate like a book." Couplets- a pair of lines that are the same length and usually rhyme and form a complete thought. Shakespearean sonnets usually end in a couplet. Appear in writing or in judging ill. . . .
Dactyls -a foot of three syllables, one long (or Stressed) followed by two short (or unstressed) in quantitative meter,(Happily) or one stressed followed by two unstressed in accentual meter, as in gently and humanly The dactyl is the reverse of the anapest. Dramatic Dialog- an exchange of ideas or opinions on a particular issue, esp. a political or religious issue, with a view to reaching an amicable agreement or settlement. Eclogue- a classical style on a pastoral subject. Poems in the genre are sometimes also called bucolic.. The etymology of the word is a Romanization of the Greek eklog meaning 'draft, choice, and selection (particularly of short passages)'. The term originally referred to short poems of any genre, or selections from poetry-books. Ekphrastic Poetry- based on visual arts. Looking at an object & writing a poem about it/what you see. Epic - An extended narrative poem recounting actions, travels, adventures, and heroic episodes and written in a high style. (Please see for more info)Two of the most famous epic poems are the Iliad and the Odyssey by Homer, which tell about the Trojan War and the adventures of Odysseus on his voyage home after the war. Enjambment -The continuation of a complete idea (a sentence or clause) from one line or couplet of a poem to the next line or couplet without a pause. An example of enjambment can be found in the first line of Joyce Kilmer's poem Trees: "I think that I shall never see/A poem as lovely as a tree." Enjambment -The continuation of a complete idea (a sentence or clause) from one line or couplet of a poem to the next line or couplet without a pause. An example of enjambment can be found in the first line of Joyce Kilmer's poem Trees: "I think that I shall never see/A poem as lovely as a tree." Enjambment comes from the French word for "to straddle." Envoy -The shorter final stanza of a poem, as in a ballade. Feminine rhyme- A rhyme that occurs in a final unstressed syllable: pleasure/leisure, longing/yearning. Figure of speech - A verbal expression in which words or sounds are arranged in a particular way to achieve a particular effect. 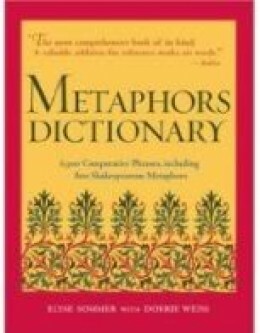 Figures of speech are organized into different categories, such as alliteration, assonance, metaphor, metonymy, onomatopoeia, simile, and synecdoche. Foot -Two or more syllables that together make up the smallest unit of rhythm in a poem. For example, an iamb is a foot that has two syllables, one unstressed followed by one stressed. An anapest has three syllables, two unstressed followed by one stressed. Free Verse-(also vers libre) term loosely used for rhymed or unrhymed verse that has no set meter made free of conventional and traditional limitations and restrictions in regard to metrical structure. (Definition from Columbia Encyclopedia) Free Verse does not have to rhyme, or have a pattern. Haiku- A Japanese lyric verse form having three unrhymed lines of five, seven, and five syllables, (or 7, 5, 7) traditionally invoking an aspect of nature or the seasons with simple observations about the world around us. Heptameter -A line of poetry that has seven metrical feet. Hexameter -A line of poetry that has six metrical feet. Hexameter verse - A line of poetry consisting of six measures, the fifth being a dactyl and the sixth either a spondee or a trochee. The other four may be either dactyls or spondees. Hymn- type of song, usually religious, specifically written for the purpose of praise, devotion, adoration or prayer, and typically addressed to a deity/deities, a prominent figure or an epic tale. The word hymn derives from Greek hymnos "a song of praise". Hyndlvljoth (Norse) - Historical, Gynecological poem. Hyperbole -A figure of speech in which deliberate exaggeration is used for emphasis. Many everyday expressions are examples of hyperbole: tons of money, waiting for ages, a flood of tears, etc. Hyperbole is the opposite of litotes. Iamb- A metrical foot of two syllables, one short (or unstressed) and one long (or stressed). There are four iambs in the line "Come live/ with me/ and be/ my love," from a poem by Christopher Marlowe. (The stressed syllables are in bold.) The iamb is the reverse of the trochee. Idyll, or idyl -Either a short poem depicting a peaceful, idealized country scene, or a long poem that tells a story about heroic deeds or extraordinary events set in the distant past. Idylls of the King, by Alfred Lord Tennyson, are about King Arthur and the Knights of the Round Table. lay - A long narrative poem, especially one that was sung by medieval minstrels called trouvÃ¨res. The Lais of Marie de France are lays. Limerick- light Nonsensical, humorous verse, short,& sometimes ribald. They are Usually Funny or silly and always having five (5) Lines anapestic lines with the rhyme scheme of aabba. If you write one of your own, think of each poem as a VERY short story. Litotes- A figure of speech in which a positive is stated by negating its opposite.. Some examples of litotes: no small victory, not a bad idea, not unhappy. Litotes is the opposite of hyperbole. Lyric- having the form and musical quality of a song, and esp. the character of a song like out pouring of the poet's own thoughts and feelings, as distinguished from epic and dramatic poetry. A lyric poem may resemble a song in form or style. 2. Pertaining to or writing lyric poetry: a lyric - ist. Masculine rhyme -A rhyme that occurs in a final stressed syllable: cat/hat, desire/fire, observe/deserve. 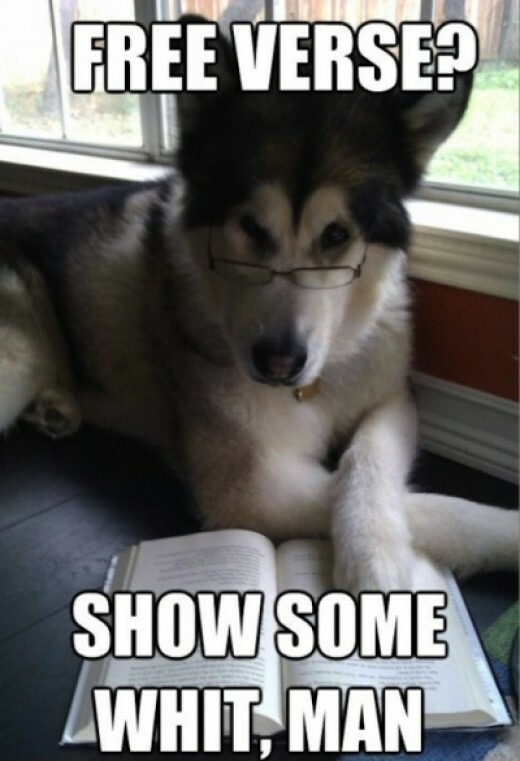 metonymy -A figure of speech in which one word is substituted for another with which it is closely associated. For example, in the expression The pen is mightier than the sword, the word pen is used for "the written word," and sword is used for "military power." Narrative Poems - this type TELLS A STORY. This is longer than most forms of Poetry and can rhyme but doesn’t have to; they can also have patterns that create a rhythm. You can (but don't have to) make each line the same amount of syllables &/or the stanzas have the same amount of Lines (see stanza) Ballads, epics, and lays are different kinds of narrative poems. ottava rima-A type of poetry consisting of 10- or 11-syllable lines arranged in 8-line "octaves" with the rhyme scheme abababcc. Pentameter- a line of five metrical feet. Prose- some may write a story using Prose form which is language written or spoken in an ordinary way. The story is the MOST IMPORATANT THING, but when the author uses poetry the way the words read or sound is part of the goal along with the story. Rhyme- Most think of a poem as Rhyming, which is not true, for instance one type of poem called haikus do not rhyme; but there is also different kinds of Rhyming. Another is The occurrence of the same or similar sounds at the end of two or more words. When the rhyme occurs in a final stressed syllable, it is said to be masculine: cat/hat, desire/fire, observe/deserve. When the rhyme occurs in a final unstressed syllable, it is said to be feminine: longing/yearning. The pattern of rhyme in a stanza or poem is shown usually by using a different letter for each final sound. In a poem with an aabba rhyme scheme, the first, second and fifth lines end in one sound, and the third and fourth lines end in another. Sight Rhyme- like Though & Bough They don't rhyme when we say them but look the same on the page. rhyme royal- A type of poetry consisting of stanzas of seven lines in iambic pentameter with the rhyme scheme ababbcc. Rhyme royal was an innovation introduced by Geoffrey Chaucer. Romanticism- The principles and ideals of the Romantic Movement in literature and the arts, during the late 18th and early 19th centuries. Romanticism, which was a reaction to the classicism of the early 18th century, favored feeling over reason and placed great emphasis on the subjective, or personal, experience of the individual. 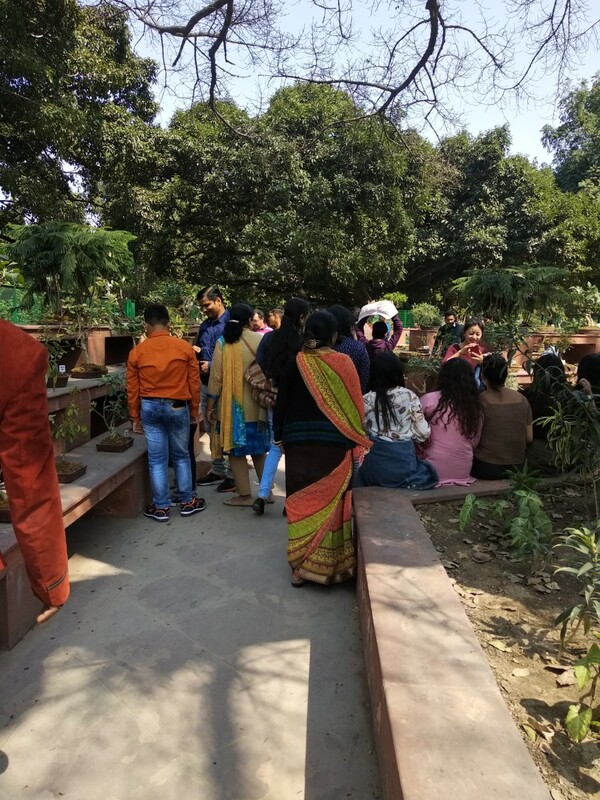 Nature was also a major theme. The great English Romantic poets include Wordsworth, Coleridge, Byron, Shelley, and Keats. Rondeau- Pros.a short poem of fixed form, consisting of 13 or 10 lines on two rhymes and having the opening words or phrase used in two places as an unrhymed refrain. Sestina- less commonly, though more correctly, sextain) is a wondrous strange beast, the brainchild of a twelfth-century Provencal troubadour. 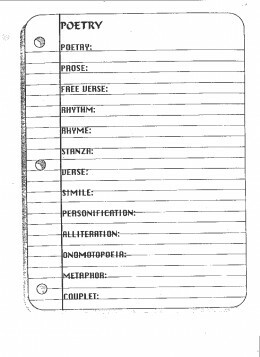 It doesn't use rhyme; instead, it has six keywords essential to the poem's structure. The poem's 39 lines - six 6-line stanzas followed by a 3-line envoi or tornada - all end with one of the keywords; in the tornada, there are two keywords in each line, one of them at the end and the other somewhere in the middle. It may all begin to make sense if we try an example. Scansion- The analysis of a poem's meter, this is usually done by marking the stressed and unstressed syllables in each line and then, based on the pattern of the stresses, dividing the line into feet. senryu- A short Japanese poem that is similar to a haiku in structure but treats human beings rather than nature, often in a humorous or satiric way. Simile -A figure of speech in which two things are compared using the word "like" or "as." An example of a simile using like occurs in Langston Hughes's poem "Harlem": "What happens to a dream deferred?/ Does it dry up/ like a raisin in the sun?" Sonnet- A lyrical poem that is 14 lines long; Italian (or Petrarchan) sonnets are divided into two quatrains and a six-line, sestet," with the rhyme scheme abba abba cdecde (or cdcdcd). English (or Shakespearean) sonnets are composed of three quatrains and a final couplet, with a rhyme scheme of abab cdcd efef gg. English sonnets are written generally in iambic pentameter with a varied rhyme scheme. stanza- Two or more lines of poetry that together form one of the divisions of a poem. The stanzas of a poem are usually of the same length and follow the same pattern of meter and rhyme. means "stopping place" in Italian. A stanza is a set of lines in a poem, set apart from other sets of lines by space. Each stanza comprises its own unit. The break/space between stanzas generally indicates a pause between thoughts, concepts or actions. In standard practice, most poems end a sentence at the end of stanza. It is important to remember, however, that there is no definitive rule that says this must happen. Of all writing forms, poetry is the most experimental. Rules of form get broken all the time. Stress - The prominence or emphasis given to particular syllables. Stressed syllables usually stand out because they have long, rather than short, vowels, or because they have a different pitch or are louder than other syllables. Synecdoche - A figure of speech in which a part is used to designate the whole or the whole is used to designate a part. For example, the phrase "all hands on deck" means "all men on deck," not just their hands. The reverse situation, in which the whole is used for a part, occurs in the sentence "The U.S. beat Russia in the final game," where the U.S. and Russia stand for "the U.S. team" and "the Russian team," respectively. tetrameter - A line of poetry that has four metrical feet. Treatment- usually used in the movie business as a description of the movies story line & plot twists and such but can be used as in writing to a publisher as well instead of sending a full manuscript. trochee-A metrical foot of two syllables, one long (or stressed) and one short (or unstressed). An easy way to remember the trochee is to memorize the first line of a lighthearted poem by Samuel Taylor Coleridge, which demonstrates the use of various kinds of metrical feet: "Trochee/ trips from/ long to/ short." (The stressed syllables are in bold.) The trochee is the reverse of the iamb. Trope - A figure of speech, such as metaphor or metonymy, in which words are not used in their literal (or actual) sense but in a figurative (or imaginative) sense. Villanelle-French verse form running on two rhymes and consisting typically of five tercets and a quatrain in which the first and third lines of the opening tercet recur alternately at the end of the other tercets and together as the last two lines of the quatrain. for more see the 'Poetic' section for the lens on how to write one. Various learning stages from Children to Adult, I have also included a book on Book Repair as with use, and even with not so much even just heat & the humidity may make the binding come apart, or pages fall out. In Epic & Dramatic Form 'Cliffnotes"
"Diamante' - a poem in the shape of a diamond A Diamante follows a 1,2,3,4,5,4,3,2,1 pattern meaning one word on the first line 2 words on the second and so on. The first & last line should be the same word. What is your Poetry Style? 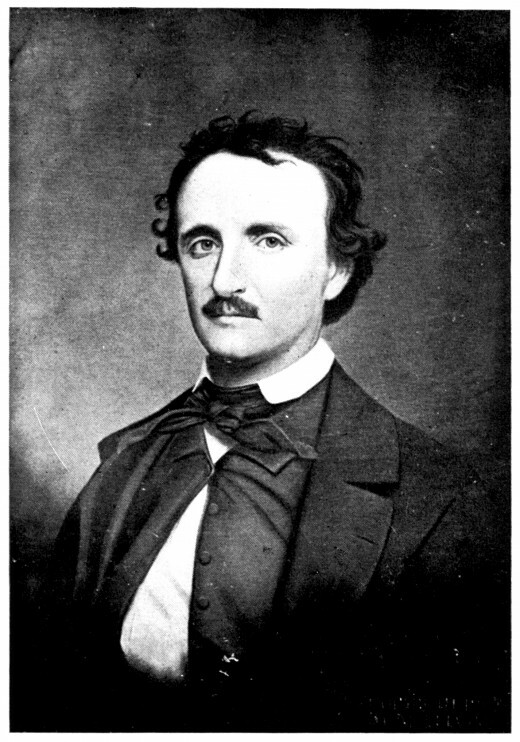 from Poe to 'WHO?!' YOU??? - famous for 'The Raven' & The Telltale Heart. Here is a listing of the works of our favorite bards. If I have missed mentioning Yours above, or by including their works here then please let me know or add it to the list. Ellen Hopkins is a Poetic writer by that I mean her stories are written in rhyme or a form of poetic prose. check out the book below *look inside & you'll see what I mean. Who won't go out at all! The poet's love of her garden showed; Over one-third of her nearly 1,800 poems and half of her letters are about plants. below there's also a blog on how to get started, reuse ideas from something else, how to beat writer's block etc. Fountain pens with a broad tip is what I prefer besides the Pentel brand R.S.V.P. pens and my now discontinued Tandem pen. Another thing I like to do is write my poems with different colors (or certain words and such if I'm in an overly creative mood. Plus you can use the colors to show the mood of your work. You can use marker, crayons or colored pencils whatever your preference. Also don't think poems ONLY have to be written, if you can draw, draw your poem out! For those of you able to draw well...I suggest illustrating your poems with colored pens/markers/crayons or pencils. Those artists may also want to use other art supplies Charcoal, Paints, oil pastels etc. to illustrate the page of a poem. Think along the lines of those (I think they're called) pictogram puzzles like a picture of an eye, a picture of a heart & the letter U is I love you... and remember when it comes to writing or drawing... let your freak flag fly! Also to accentuate your poems you can write colors or symbols in the colors they are. Take Leaves of Grass for instance write Grass in Green, and for the word leaves use red, orange, yellow or brown grass can even be in varying colors of green. Along with what I noted for any form of writing, the 2nd most important thing is What to write in! I would suggest a journal with a hard cover but then there are some people who prefer to make their own. If it’s not on here, then there should be a video or lens on how to make one yourself. If you can't find that 1 'perfect' look for your journal... Go with a composition notebook (as a rough draft form) or some blank covered type bound notebook & just decorate the cover! Paint it, draw on it, cut out pictures from magazines & make a colorful collage on it. I have the Best love poems ever As well as They're Poets and They know it from Scholastic, the rest of these books are for children to teach them about or to just read. By looks that are on people's faces. And their eyes may then open quite wide. As they search for whatever has died. To fan at the air near their noses. The smell as your fart decomposes. That some person has caused that bouquet. That it was all YOU! Simply smile as you go on your way. Through the Eyes of the Gods in it. of rainbows the gods & angels make. when flying about this ocean. sometimes you just might be shown Mount Olympus! Viking Ships & Norse God Odin yelling at Loki again No doubt. & canyons from the Gods' bowling. without the tail or a stealth bomber even an eagle flying too high. Balls of Fire from Aries Ire. Thor's hammer will not fall even he's enjoying the cotton ball bed. Cloud 9 I slide down into the painting below me. Disclaimer- ALL The poems in this section were written by me ©Kim Marie Ostrowski alone, & Published by one of the above Publishers mentioned. Any future poems published here will be in my book yet to be titled. or fill a gift basket with all! What can I say to this other than my own opinion & something a customer had once told me. Like in Poetry if the professor wants you to write a poem about yourself & say you already have an idea but he limits how you can write it & one of those pertains to your idea. What do you do then? Esp. being you already have the Inspiration/idea & personally I've found it hard to try & twist an idea in a different direction once a rule has been placed on writing it. Same thing with creative writing..... I have a writing exercise book that yes it helps with ideas but the exercises vary, sometimes you cannot use certain words, other times you are given words you have to use in the story (which is much easier) and others letters are places in certain areas that you have to use for the next word. You are also given a starter sentence. So while it helps it is also limiting your creativity (esp. 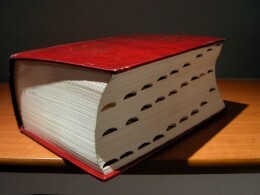 being the pages have a limited space to write on. (definitely might be better to write in a separate notebook but being its not actually class assignments I give myself some time to write each day (if that. as sometimes, even with the help of a topic & starter line.. I am still stuck to write anything. So for me a class in whatever you are already talented in, kills the creativity & quite possibly might ruin your talent as well. I only say that because you may know nothing on painting for instance but you are great at it & have even sold a couple of paintings freelance & in a gallery. You take a class to hone your skills & afterwards you don't quite have whatever it was you did before. With me it also seems that even if i love doing something, that when it comes to a 'HAVE to do' for an assignment I really no longer have interest in it for quite a long time if ever again. I always loved reading, but while I was in school I never read recreationally, & never did again until a friend talked me into reading the Harry Potter books. So what's your opinion? DO schools kill creativity? When I think of poetry I think of an old leather journal, with parchment or yellowed pages that the book may have been carried with its owner in the rain and all over in their travels. I also would prefer one with a lock on it at the moment as I am trying to get around to polishing up the last few poems have as drafts and printing them into the document. I do however use journals of various sizes shapes & designs to write my poems in. Sometimes they're the draft other times the journal is the master hard copy. One way or other these are nice for any writer to write poems or stories or just for an actual journal, especially for guys. Another great idea for these are for those family & friends that do not know you write, if you write stories or poems use one of these classics to re-write them into & package it as a gift The girlfriend, wife or mom would love or ladies that your guy will love, besides some of these look pretty manly. For an added touch if you know calligraphy or Illuminated lettering, (or are able to draw fairly well) try doing your poems that way.. Use illustrated writing (that would look especially great in these kinds of journals) or do an illustration or two for them. Maybe with in the first few pages you can draw a 'cover' for what you'd like a published book to look like. So for those with Classic taste I give you my Top 17 choices for the best looking classic, antique, or just really cool looking leather journals. This is the Contest I've been entering lately ..
Judging process: The Entries are judged based on the Poetic Technique, effectiveness, Style & Creativity. Critique: Those that adhere to contest rules receive a brief critique of their poem. They are included at the bottom of your author's proof. Examples: (this is for the EYEcon poem...) The Rhythm and pitch are so strong that they intensify and concentrate the poem's effect on a level separate from the meaning of its words. For that reason, the most complete experience is reached (for the reader) when the poem is read aloud-it is enhanced by the power of the human voice"
This is the one I received for STORM - Your Poem's authenticity comes from its imagery. With Powerful, vivid imagery your poem renders a picturesque scene. Its controlling image leaves us with strong sensory impressions, placing us within your vision. Publication- Contestants that reach the semi-finalist stage of the contest may also be selected to be featured in a poetry anthology. Even poems disqualified from the contest may be eligible for publication. (There is no purchase required & no Royalties paid to contributors. My apologies if this section does not seem organized..It’s not. I wrote this part as I thought of what I wanted to say so I hope nothing gets anyone confused. Keep this one thing in mind..... I'm NOT sure that if you DIY publish, that an actual publisher can take the book for publishing afterward. I have thought of making my own poetry book (as soon as I have the amount I want finished) & more or less looking through options of publishing (I want 100 poems the least for the book) Not sure if its 'legal' to self publish a book whether it be a site like authorcrossing.com or lulu.com or just printing out the pages myself & bringing them to a staples (or other place that will bind books) while you are shopping around for a real publisher. (Plus cover art if you cannot draw might be a problem & quite expensive for one of these sites to do it for you..(But I see no OPTION to UPLOAD an image if you have drawn something of your own for your cover. (or a way to describe to them what you had in mind for cover art) Let alone if it’s a hard cover if there should be 'foil' art or a book jacket. no option for hard & or soft cover, not even a particular color you'd like it in. Bring them to a staples or some place that will bind (suggestions.. Books of Poetry ideally should be of a 5 1/2 x8 to a 6x9 (inches) sized book ... It looks elegant, easy to hold & read from, plus quite professional looking. If (like at staples) a size like that is not available go for the large size. Be sure that if you have your poems typed on a computer (if you, like me use the fonts as a way to show your emotions & vision be sure to print your poems out yourself, because staples' etc computers will just print out the standard Times New Roman (or whatever theirs is set to) font, and you'll end up with some crazy size proportions as well! Normally these would be used for prompts while creative writing, but maybe they will help for ideas. The CREATIVE WRITING section MOVED! I was told years ago all you had to do was mail yourself what you wanted copyrited. Not that easy. My cousin who worked for the P.O. said it has to be REGISTERED. When you receive it DO NOT OPEN it when it comes, it must stay closed until someone claims they wrot, drew etc whatever it is. 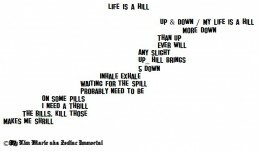 What format do you use for writing your Poems or other creative writing? I hope I have included all the content possible if there's something you can think of that I left out please let me know and I will add the content. If you used the page as a study guide or to learn to write a poem for a class i'd LOVE to hear how you did. "song lyrics to me are a way of expressing feelings. To me song lyrics, if they truly are lyrics are just that words that go together, just like a poem to tell a story or to express your feelings. I have used music and writing songs to get through some of the most difficult times of my life. I love music, and poetry to me is so much like a song lyric, songs just have music written to express them with." for further help See the Creative writing 101 link below and 2013 Year of the Book serieseven though it's a reading quest I have some writing stuff on it for journal prompts for writing a book review as well as a book report format/ outline and No Bummer Season Reader may have some stuff of interest as well for more help! Your comprehensive lens frightened me a bit, I wrote poems often just to entertain people, so I never worried much about rules. But it is terrific to know that I could use your lens as a guide for my future writing. If you like Edgar Allen Poe, come check out Lena Albanese! @LizMac60: Thank You. 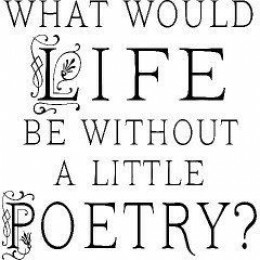 If you could, could you also add it to 1 or a few of your poetry lenses? @LizMac60: Thank you for the squidblessing. 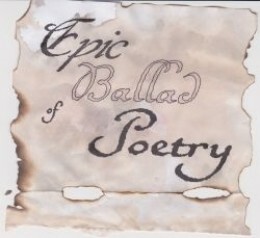 I was trying to find your aboutme or lensography to add it to the section on the Epic Ballad of Poetry. Did I over look it, or do you not have one? What a fantastic resource. I shall bookmark it. Blessed. @darciefrench lm: Thank you for adding my lens to your page. This will be so helpful to so many writers. Blessed! 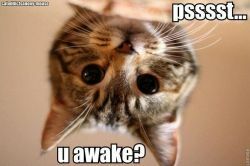 @darciefrench lm: Thank you Darcie I appreciate it! Wow - fabulous Lens! You've gathered so much info and given so many ideas and tips - thanks for sharing. Very interesting lens full of useful info and links. I shall be studying many of these. I have always written, especially poetry but have no formal training. If I may make so bold, there are lots of rules for a "free art form". But I do see where you are coming from in the comment you left on my lens. Grammar is flexible but can be useful to understanding / to force the reader to narrate in the way you intended. Spelling is another matter. Words may be invented but real words should in my opinion be spelt correctly. Thanks for this lens - blessed. You've put together a great resource here! Many thanks. I'm a performance poet and storyteller and run workshops myself, and there is so much here that is useful. Thanks! Please feel free to lin to my THE Jon Freeman Squidoo lens if you would like to! Thanks for including my Feature Article and Newspaper Article lenses on this amazing lens. @JoshK47: Thank you very much. Quite a resource you put together here! Great work! @LiteraryMind: Thank you Literary Mind... That was the idea! I just hate having to go through tons of sites to find what I'm looking for and if I don't have it I provided them within! you have some great resources here. nicely done. Wow! What a thorough lens on poetry. It appears you have covered everything. You really know your topic and have provided useful resources for others wanting to learn more about the business side of sharing poetry. Very nice! Brilliant page. Loaded with useful and helpful poetry information. Blessed by a Squidoo Angel. This is a very comprehensive lens on poetry, for people who are serious about it. Points out the nuances and details in simple way. Well done. Very interesting, well put together page. You know one of the things I have noticed about your pages that I have visited so far is: You put a lot of heart and soul into them. That within itself is a fantastic gift. 20 more poems and you will publish your book? OR 20 more poems could be the starting of another book :0) I really enjoy your writing. Very well done. Leaving you with a *Blessing* for all of the heart and soul you put into your pages! @Zodiacimmortal: I don't have a featured lens but I did provide a link on my lens. I also am going to twitter this so more people can be exposed to this excellence lens. @eclecticeducati1: Thank You! WOW! This is my fave comment so far. That someone whishes they had it to teach someone else. I just found a few (&amp; thought of others) to add to the page. Its for creative writing BUT I'm sure in some way can be used for poetry. 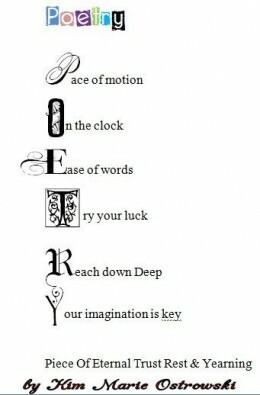 Great information on poetry!! I wish I would have had this when I was teaching poetry to my oldest son. Thanks for featuring my lens. @menskincaretips: Did you see my music Lens first? if not there's some stuff on there as well to check out. thank you for the great information! I am writing a few songs myself and brushing up on poetry techniques is definitely helpful! I try to be complete when it comes to putting stuff l iek this together. If only I was in school I think it would be a GREAT tool for book reports &amp; projects! Whew, I'd say this almost qualifies in the epic category, you seem to have left no stone unturned in the land of poetry. @THNeto: Hey theto Thanks!! I've gotten a couple of my poems published already thanks to Poetry COntests &amp; those a noted on the page. They even received editor's choice awards. Thenk you for the luck on getting a book published. I just need finish 20 more (but might have a few more I can add then i just have to try to title the ones that don't have them yet. I want it to be an 'illustgrated' book. Not just the boring old text type. 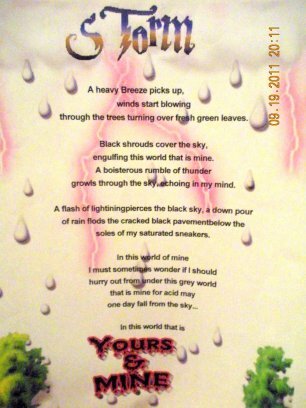 When I type out my poems I do it where the Grass is written in a few colors of green &amp; try &amp; find a font that might show the 'emotion' or some sort of symbol from the poem in it. So not sure how that would float with publishers. Really interesting lens Kim; hope you do get to publish that poetry book of yours soon! I love writing but mine's just going to remain a hobby, I think! @HealthfulMD: Thank you for liking &amp; for the tip. I'll have to see if I can get to that as I'm currently working on 2 (Yonkers, NY &amp; the Music one) Lenses now &amp; starting a Halloween but I am trying the text list mod in the Yonkers one for 'The Best of List' so I'll see how I like it. Looks like you are off to a great start on this lens. You might want to put your definitions into a Text list module and number them or bullet them to set them off. I like to use the bold or strong tag to emphasis words. @Mind on Paper: Thank you so much i'll post it in the links on the page!!! If you could post my page to yours?